Do you know that many candidates follow a tradition to answer IELTS writing task-2 (academic)? The Tradition: First, they think about too many points to answer the question...then write those ideas/points one after another....and make it a jungle of words that become difficult to read. Incredible tradition. You should try it. There is exactly 0% chance to archive a good enough band score if you try it. That`s why I like traditions…but not that brings me any good. So, THINK TWICE if you like to keep that tradition alive! 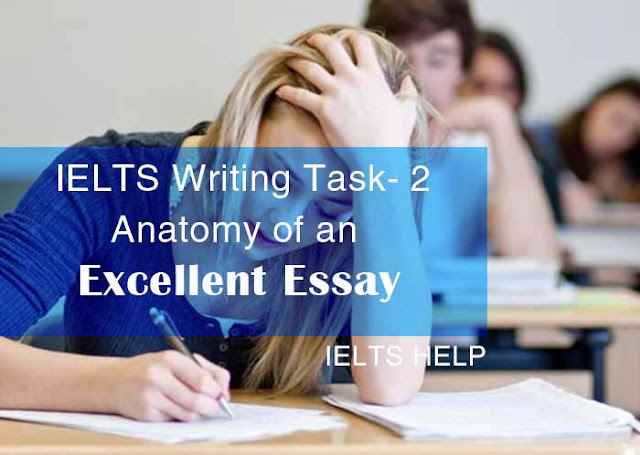 At this point, you need some practical strategies that you can use to answer IELTS writing task-2. That’s exactly what this article is. 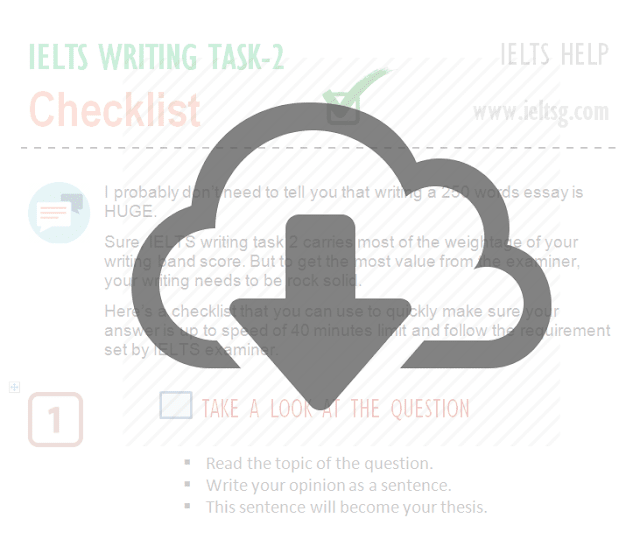 It’s a simple checklist that will help you to nicely structure IELTS writing task 2 essays and brings you good enough band score. So here is the fact…. It takes too long to finish. It happens when you try to present too many ideas in your writing. That make sense, why should not gather too many points. It`s simply = waste of energy + waste of time. You can write 3 or more body paragraphs after the introduction. But, limit the focus to one distinct idea. Add 3/5 more sentences per paragraph. Start each body paragraphs with one focus or major point of discussion and then put other sentences to create a logical bridge. In this way, the entire paragraph will concern itself with a single focus. If you write like this- it will be easily understandable to the examiner. You are not getting it clear? Let me give you a simple formula: Pie Method. Explain: Show how the/these evidence supports the point. How to write Point/Topic Sentence? Your topic sentence is the most important sentence of the paragraph. It should contain: a single idea or topic + your opinion (about that idea). Online education has become more popular form of distance education in recent years. In this case, the topic is: online education & your opinion is: it has become more popular in recent years. Remember that, a good topic sentence should not be too general or too specific. Too general: Online education has become very popular. Too specific: Online education has become very popular form of distance education in Japan, China, USA and Canada where almost 25 % of the enrolled students in any institution prefer online. Now, you have to illustrate the idea expressed in the topic sentence. How to Illustrate the Topic? For illustration, you need to provide some examples that support the topic sentence. These examples will help you to elaborate topic sentence. You need to come up with some reasons why online education becomes popular. Students have freedom to take lessons from home, they don`t have to be present themselves physically in the lecture room. The experience of virtual learning environment via the internet whenever needed makes it time independent. For many learners, it provides the ability to maintain personal busy schedules and take classes at the same day. Now, you have illustrated the topic with reasons. It`s the time to elaborate how the examples connect to your point. …may think your examples does match the point you`ve mentioned at the beginning of the paragraph. These flexibility of online learning make it a very powerful and popular medium of education. It is interesting to notice how the entire paragraph is focused on a single topic- the popularity of online learning. That`s the key point- write each paragraph on just one single topic. Don’t include a new topic/idea in this paragraph. Write a separate paragraph for a new topic. Remember, each new point should have its own paragraph. Let` take an example of IELTS (Academic) writing question taken from official IELTS page. Now you want to write about another advantage of nuclear energy; like: low fuel cost. First, they identify what is being asked in the question. Second, they put 100% effort to answer this in the best possible way. "Why I do not get a well enough band score though I write it very well"
"What is missing when they write is so well?" Well, today I’m going to make it easy for you. All you need to do is a little twist by adding some elements of transition and signpost in your task-2 essay. You may see traffic signs around the streets of a city. These signs help you to find your way. The IELTS examiner is also kind of walking through your essay and looking for such signs. People KNOW about the intention of your next sentence…present your essay as clearly as possible. Your IELTS examiner will get impressed. The reality is this: you will get a hike in writing band score for satisfying the cohesion marker. Transitions are usually longer phrases or whole sentences to indicate "the shift" of focus from one idea to the next. Most often you will write about “cause and effect”, “problem and solution” or “comparison and contrast” in IELTS writing task-2. Now if you really want to satisfy the examiner… and ensure that he/she SCORE you better… you should deliver transitional phrases. Due to /Because of/As a consequence of burning more and more fossil fuels, the concentration of greenhouse gas is increasing in the atmosphere. In spite of apparent global warming, few strategies have been taken to minimize the adverse effect. On the other hand/on the contrary, people are opting for more usage of fossil fuels in the long run. As I said: You don’t need to think about TOO MUCH points to write in your IELTS writing task-2 essay. It`s necessary because-often you can come out with a list of points concerning the essay. …Instead of put down these long list of points in your essay-make it short. Otherwise, you`ll never find time to write them all. Often it`s a good practice to write down 3 or 4 good ideas down the essay. Then just start to flow around these ideas in 3 to 4 body paragraphs following PIE Method. Sometimes our mind is blank…you can't think of anything... you are looking at task-2 question again and again but can`t come up with any idea to start. The solution is: Mind Mapping. When you try to answer to the question, you need to generate spontaneous ideas. Mind mapping helps you to generate those ideas. When you write down one idea, it opens the door of your mind by exposing what lies beneath. They can use the blank paper and divide it into three horizontal areas. Write each of the key words in the essay: ‘nuclear weapon’, ‘world peace’ and ‘threat` one after another. Our brain is hardwired to catch three items at a time, which is why this technique works so well. The threat of Nuclear weapon maintains the world peace. Nuclear energy provides cheap and clean energy. Let your mind start to flow around and over these main ideas. Create some supporting (or contrasting) ideas yourself. Since the Hiroshima Bombing of 2nd World War.. Maintain global peace…by the balance of power. You may be wondering that you may come up with a short list. In fact, when you write down just one idea, the list will follow automatically by opening layer after layer like an onion. You can then convert those small hints of an idea into a fully grown sentence. So this process will help you to access things you already know; and it will help you to think about where to get evidence to back up what you know. It’s a bit like a cooking recipe. You look at the recipe to see what ingredients are needed to write your IELTS essay. Generally, when we talk, it`s not based on logic or evidence. But, in the academic context, you need argument. Argument means to persuade someone of something with reasoning. Here, I need to back up the claim…I am English with more evidence & logic. That`s exactly what you need to do in your IELTS Writing Task-2. Present strong and clear argument. The examiner will look forward how well your answer is argued. How to write strong and clear Argument? More than 2,000 years ago the Greek philosopher Aristotle explained 3 basic ways to make an argument: ethos, logos, and pathos. Greek farmers used this strategy for appealing their cases to Greek courts. This classical argument model has stood as a model for writers over thousands of years. You can visit this link if you are curious about it. But first, let me tell you how you can initially break through and succeeded with this method. 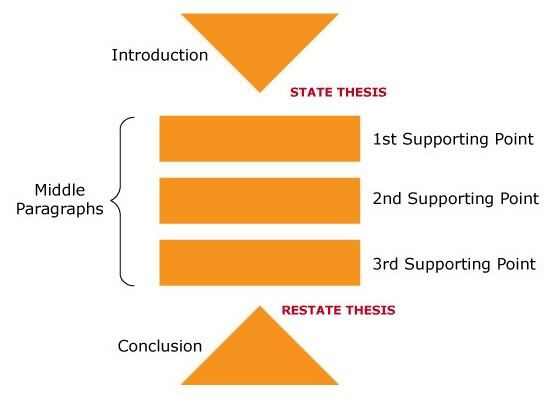 You need to acknowledge and disprove that are counter to the thesis of your essay. This means you need to acknowledge the other side/differing points of view on the IELTS essay topic. Making concessions proves that you understand both sides of the issue. A refutation is where you prove the counter-arguments wrong and explain why you do not agree with it with supportive evidence. Write the opposing viewpoint (counterargument) at the beginning of the body paragraph. Refute it with your own argument. Use transitional phrases so that the examiner can identify when you are changing from your opponents’ argument to your own. Explain your point of view with reasoning. Let me help you more to break the ice in this process. Here I give you an example where you can see concession and refutation in action. Some people believe that smoking should not be banned in public places while other thinks that it is not the right thing to do. To what extend you agree or disagree with this point of view. Right now. 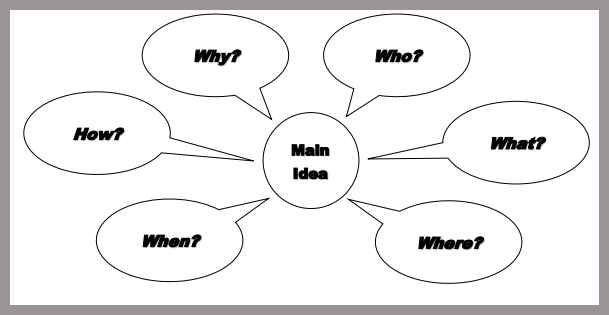 You have finish mind-mapping and come up with list of ideas or point. Don’t wait for a “complete list.” Don’t wait for things to look perfect. Start writing your essay right away when you can list three or four broad ideas. …and not getting a high band score. Off course, you can`t write your ideas randomly…you need to organize them in paragraphs. 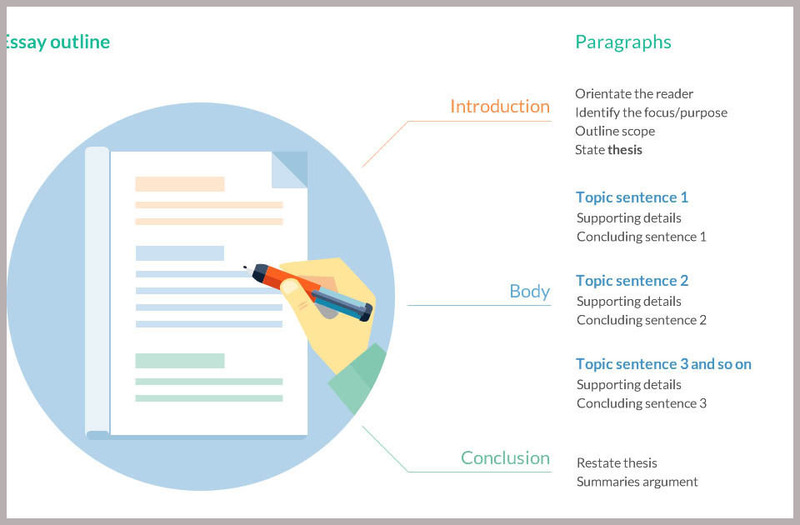 Writing and organizing good paragraphs is one of the most important aspects of creating a well-organized and developed essay. A classic format for writing is the five-paragraph essay. As a matter of fact, it is not the only format that exists; there are others like four or six paragraph essay model. But, I think five-paragraph is more useful in writing IELTS writing task-2 essay. You ask? Take a look at this image closely, and then I’ll walk you through it. In this agree or disagree essay, let`s agree with the point of view presented in the question. Paragraph 4 > Show how these benefits far outweigh the odds. That makes it clear why 5 paragraph structures are useful in IELTS. How Can You Actually Write all these 5 Paragraphs? How do I write an effective introduction? An excellent IELTS essay has a solid introduction. 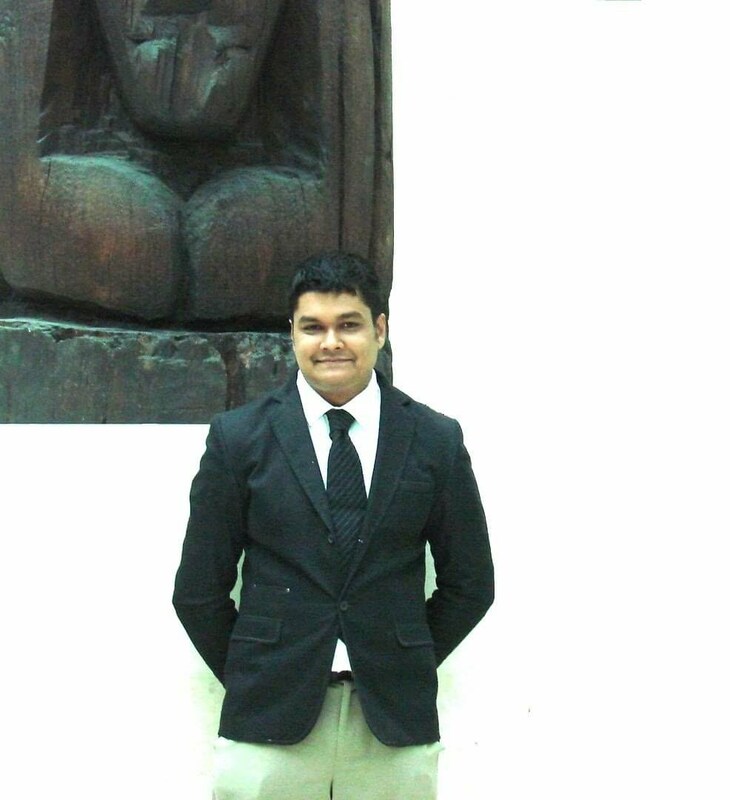 In introduction you clarify the question and state how you are going to explore it. In a way, it serves as a 'road map' of the essay. This sentence should broadly state the topic of the question. You can simply do it by just zooming in to a specific idea from the broad concept presented in the question. “If countries are serious about solving traffic problems, they should tax private cars very heavily and use the money to provide free or very cheap rail travel. Many nations are facing massive (specific-how serious) traffic congestion in their cities (specific). Here you write how you feel about the whole issue of the question. The congestion makes travel difficult and causes environmental damage. In order to solve this problem, it is necessary to establish alternative solutions. Until now, you write about the general topic and the facts surrounding the topic. Now, you need to state what you will be arguing…what you are going to cover in your essay. "In my opinion, the best way to finance the development of public transport is to tax car drivers." Thing #3: You have clearly state what you are going to explore in this essay. How to write body paragraphs? You have stated what you are going to discuss generally in the last sentence of your introduction. Now, you should explain, discuss or prove this. You should move from general to specific information. You can do this in several body paragraphs. The body paragraphs are the heart of your essay. It is essential for writing an excellent essay. I`ve already discussed it earlier in PIE Method. But the question remains: should you just write 3 paragraphs using Pie formula. There is more you should concern. You may include 3 body paragraphs in your IELTS essay…but all these 3 must have some coherence and unity. You should maintain a flow of transition. I`m taking about using transition signals between paragraphs. I`ve already discussed it in Lesson 2: Strategically Use Cohesive Devices. But, that was about using transitional words within the individual sentences of a paragraph. Here, I will discuss how to use it from one paragraph to the next. If you write 3 or 4 body paragraphs, you need to show the relationship between your first, second paragraphs, between second and third paragraphs, and so on. Two paragraphs are linked by adding a transition signal to the topic sentence of the second paragraph. This transition signal may be a word, a phrase, or a dependent clause that repeats or summarizes the main idea of the first paragraph. This acts as a hand-off from one idea to the next. So, Instead of treating paragraphs as separate ideas, transitions can help readers understand how paragraphs work together, reference one another, and build to a larger point. Many times, it only takes a few words to draw these connections. Let`s apply this in the example I`ve mentioned while describing PIE method. "These flexibility of nuclear power make it a very potential source of clean energy." "Another important thing to note about the flexibility of nuclear technology is it`s cheapness." A lot of IELTS candidate write the essay so well but finish it with a half-baked conclusion. An excellent IELTS essay has strong finishes, where the conclusion is one of the most powerful components of the essay. If your conclusions aren’t powerful, then they'll weaken your whole essay. Luckily, it's not too complicated – Jut write what you`ve already write. You can even follow a sort of formula. You can start by restating the general idea made in the introduction. It reminds the examiner the very basic idea behind writing your essay. Provide 1 or 2 strong sentences that draw together all the point. It will build a relationship between the general idea and the evidence provided in the essay. 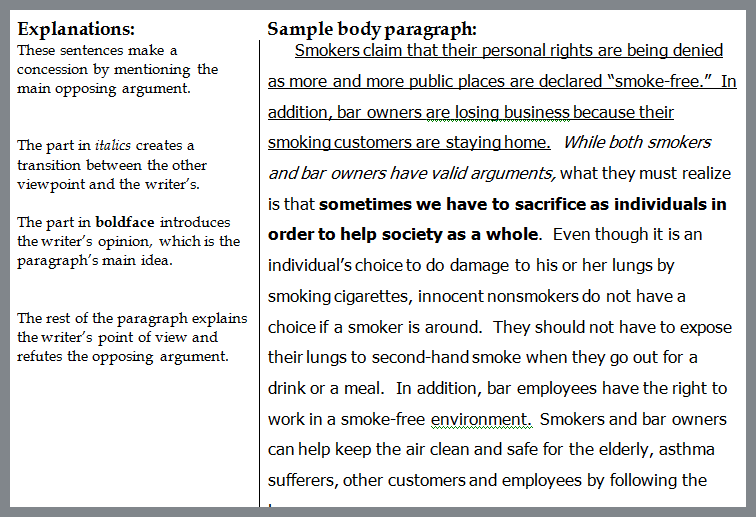 It also reminds the examiner the ideas that have been argued in all previous body paragraphs. Here is the golden rule. Don't try to bring in new points at the end of your conclusion or try to solve any problem. Just put some suggestion for future research in a clear, convincing message. Here you provide some insights or overview future possible research that a reader can be aware of after reading your whole essay. If you are reading this and come to this end, please don`t get confused. Don`t be baffled with long list of to do things I present here for your IELTS task -2 wrting. I made a free, easy to follow and eye catching checklist for you that will help you put these strategies into action for your IELTS essay. It outlines — step-by-step — exactly how to use the techniques that I talked about in this post…including a bonus tip that I didn’t include here. i referred some web pages there is only some call information only get admission. this is much informative and more helpful for who need to clear the whole things about IELTS functions.